Both PR newbies and veterans are constantly asking themselves the question, what does it take to succeed in PR? We know that what makes PR such a dynamic and interesting field is also what makes the answer difficult to pin down, as it is constantly changing and evolving to fit the needs of new audiences and clients. However, there are three fundamentals that will always remain important in the industry: organization, creativity, and distribution. 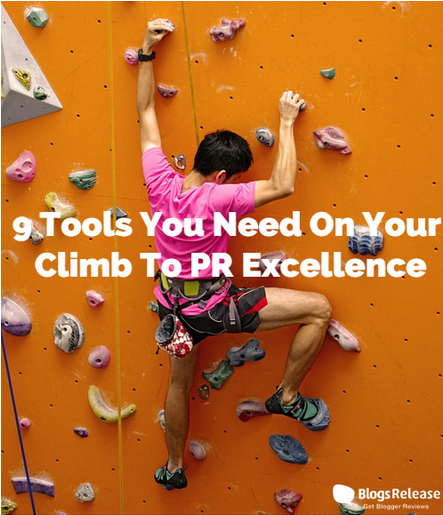 Below is our list of 9 great tools that will help you get a handle on all of those areas and become a PR champion. Trello’s pleasant interface allows you to add pictures, files, labels, and tasks and keep track of your team’s progress. If you’re more old school and prefer the reliability of spreadsheets for your internal communication needs, Smartsheet is definitely for you. One of the best social media managers around. Schedule posts and manage your social networks (Twitter, Facebook, LinkedIn, etc) on one dashboard. An industry favorite, Canva’s platform allows you to easily create eye-catching graphics, with a wide selection of free and paid fonts, headlines, and templates. They recently added infographic options as well. The first thing people will notice is the photograph. Sites like Pixabay are great for finding free, high quality stock images to pair with your posts and articles. BlogsRelease is the #1 PR marketplace where brands connect with influencers by uploading blogger review campaigns for products, events, and news. With a particular focus on storytelling, Contently specializes in creating and distributing quality content. With a bevy of tools, including ROI measurement, this is definitely a must-try. This simple and free tool allows you to see what’s trending on the web. Simply type in your keyword and see its strength, reach, and whether it’s getting a positive or negative response. Services like SocialMention are great to consult before publishing your content to see what topics get the most audience engagement. What is your favorite tool? Let us know in the comments!